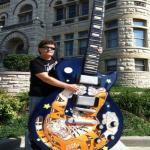 Sign up for Broadjam today to follow John Masino, and be notified when they upload new stuff or update their news! 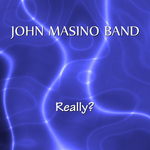 The latest studio album from John Masino Band - Really? A instrumental guitar album that also features many Madison's musicians. Born Under A Bad Sign from the old blues song by Albert King. 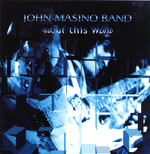 I changed the music for this new version... John M.- lead and rhythm guitar, Scott Phillips on keys, Dave Geschke- Bass. Paul Schluter plays the fantastic guitar solo at the end of the song. Bob Cornell on drums. Starting with an actual recording of the ocean -Gulf of Mexico... Bob and I recorded a jam. I listened to Bob's drum part and decided to scrap my part and write a song around his drum part.I played all the instruments. *Original chorus from the first version. I found this unfinished track and decided to finish it. The lyrics are about a soldier coming home from war... and wondering if the life he lived would still be there.